I signed a 6 month lease after moving to Des Moines from Portland Oregon. When I started work I found a vacancy in a 3 bedroom house very close to work with a co-worker living. It was a very attractive deal but I had signed a lease with Gray's and approached Karen and let her know my situation. After a couple of weeks - lo and behold a prospective tenant approached me and was interested in the apartment. After a few days I was able to sub lease my apartment. Spring Into Your New Home! Move in to a 1-bedroom unit for $649 or 2-bedroom unit for $699 when you move in before April 30! 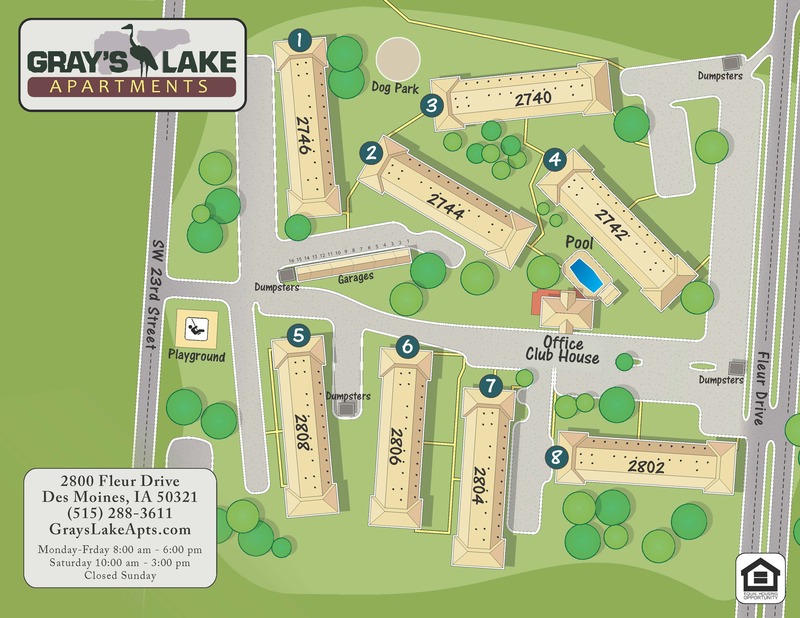 PLUS - $300 off move in costs for all floor plans before April 30!